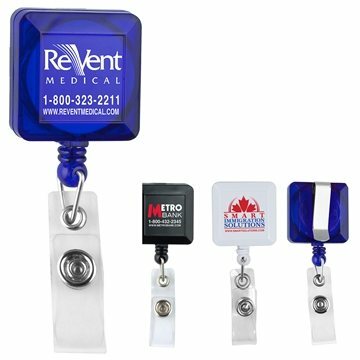 30" Cord Square Retractable Badge Reel and Badge Holder with Metal Slip Clip Backing﻿. Very Pleased with this item. It is of good quality and you can't beat it for the affordable price. I definitely recommend. I loved the way the imprinted logo was done. This is exactly what I had been looking for. I was very impressed with the quality and timeliness from the delivery. I do not have any complaints about the product. It was exactly what I expected.